We're more than pleased to present to you our one-of-a-kind Fall/Winter 2018 edition! 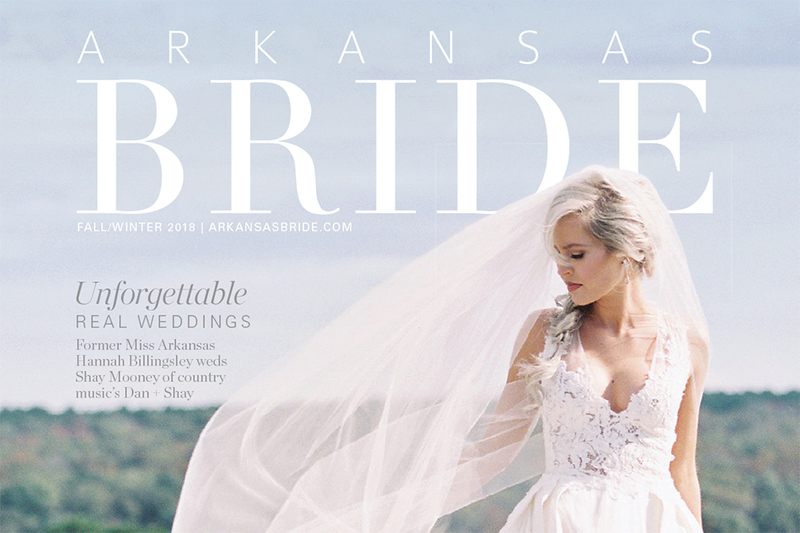 For the first time in Arkansas Bride history, we decided to feature a real Arkansas wedding on our cover. And you just might know the cover subject — it's former Miss Arkansas Hannah Billingsley Mooney, the wife of Shay Mooney of the country music sensation Dan + Shay. We fell hard for their gorgeous, intimate wedding on Shay's family farm in Natural Dam, and we think you will too! 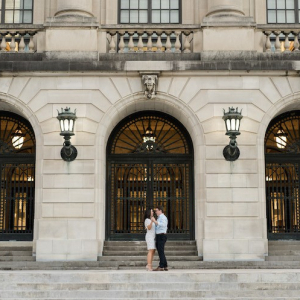 Registry inspo for all the couples in your life. Our Tastemakers from across the state delivered some darling ideas to make your friends feel the love. From gift ideas for the "preppy" couple to the "entertainer" couple, we've got you covered. 14 Real Weddings bursting with creative décor and ideas: look for fairy-tale details, a night-club reception, French-inspired nuptials, stunning gowns and personalized details to consider for your big day. How to save on your Arkansas I dos: We talked with the experts and found dozens of ways for you to save on your wedding without having to sacrifice your vision. A brand-new Hot Springs wedding guide: We have a new crop of show-stopping Hot Springs weddings to share with you in our annual supplement for Spa City planning. It's electric. You don’t want to miss our fall/winter fashion spread featuring bright, bold bridal fashion for both the classic and modern bride. Hidden gems: We tasked Arkansas' best florists and planners with creating tablescapes inspired by jewels. 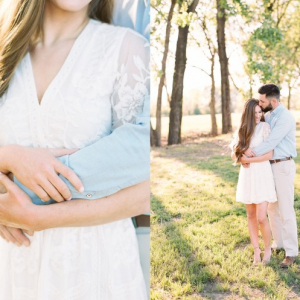 Plus, three incredible styled shoots from the state's best vendors. If you can believe it, there’s even more than we’ve spotlighted here. We invite you to pour a glass of wine (or champagne if that's more your style! ), and go cover to cover, soaking up all the great content and ideas we curated for you in this edition. And before you dive in, check out this perfect new music video for "Speechless" from both Dan and Shay's real weddings. SWOON.